UPDATE 12/19/2011 — We are very pleased to announce that this boat has found a new owner and will be remaining on the south shore of Lake Erie! Power – Original 95 HP Hercules flathead 6-cylinder, original 6 volt system. Construction – Hard chine, battened seams, carvel bottom. 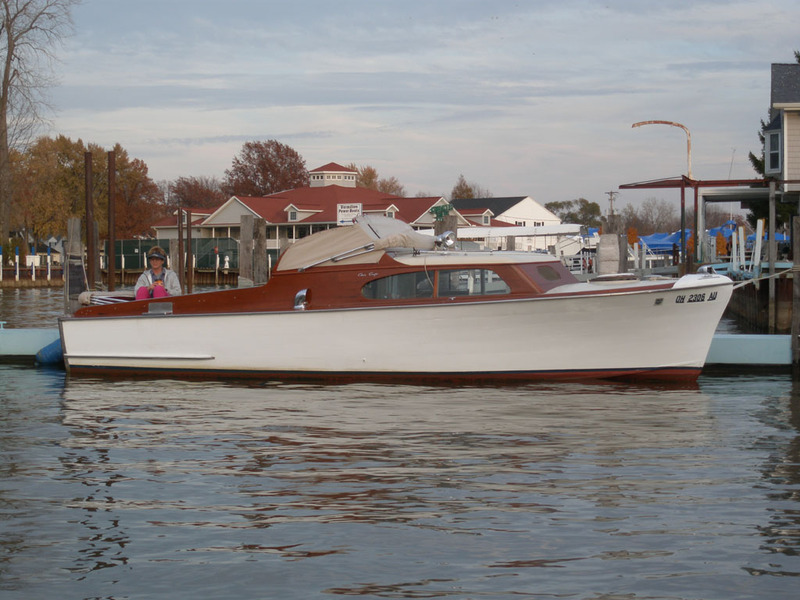 The 24’ 1952 Express Cruiser is considered to be most stylish of all the 24’s of any year. 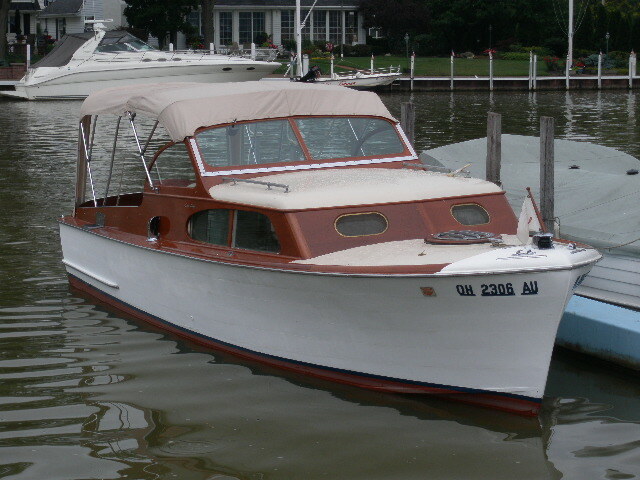 This boat was purchased new in 1952 and delivered to Moes Marine Service. The second owners purchased it 1995 and it has been stored and docked at Moes Marine the entire time. Work done over the past 5 year’s new transom and frames, new cabin top, forward deck replaced, all bright work is fresh. Includes camper canvas, mooring cover, VHF, and Garmin fish/depth finder. Between 1950 and 1954 a total 502 hulls were produced and this is hull # 197. There are only a few 24’ 1952 Expresses that survive today. What sets the 1952 part is her design and construction. The deep V hull is same design as the speedy runabouts. In 1953, the Chris Craft Express went to a different cruiser hull. Her top speed is 21 knots, @ 2,500 rpm – she cruises at top end with ease. She has sodium valves and she will burn today’s fuel with out using additives and she’s easy on fuel. The brightwork is nice and well-maintained the hardware is bright and some has been re-chromed. Click on the thumbnails below for more photos. Please contact us if you are interested in this cruiser! Still for sale? If so how much is she? And does it have a trailer?